I worked for a hardware / ironmongers in the city of London. 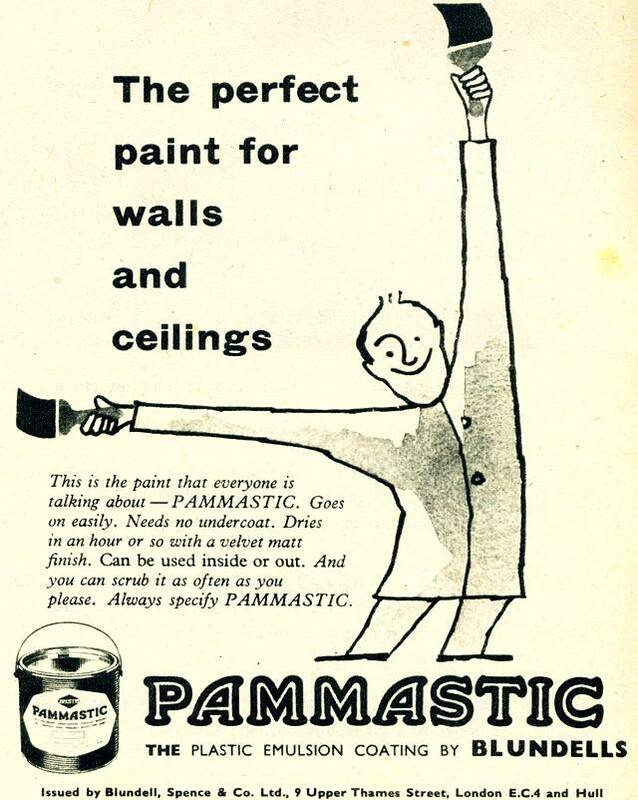 In the 50s I used to collect Pammel & Pammastic paint from a warehouse in Upper Thames st.I retired after 43yrs. With my company.in my Position is a cylindrical tool pack,given by a Blundell Spence rep. In1957/8 .The paints were the best you could buy .are they still made? Yours B J H..